Life Insurance Corporation of India has Released the Official Notification of AAO posts The Organization invites Online Applications from eligible Indian Citizens for appointment to the post of Assistant Administrative Officer (Generalist). 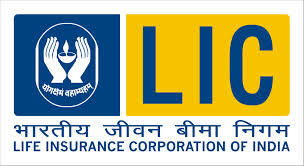 Candidates are requested to apply On-Line only.The Applicants for the following LIC. eligible candidates can apply before on 15th December 2015 to 05th January 2016. Age-Limit/ Essential Qualifications , pay scale, Application fee , etc.are Available from official website of LIC of India Or Check the link given below. Start date for Online Registration : 15th December 2015. Last date for Online Registration : 05th January 2016. Dates of Tentative Online Examination : 05th,06th , 13th March 2016. Probation Period : One year, extendable up to 2 years. dure : Selection will be made on the basis of performance in the on-line Examination followed by a personal interview of short listed candidates and subsequent Pre-Recruitment Medical Examination. Eligible candidates can Apply for the official website of LIC of India. in for Full filled Application,attested documents, recent passport size colour photograph Applicants subscribing the post applied for Application Registration before on 05th January 2015..
Download to Official Notification File & Application form .